Despite – or perhaps due to – Italy’s failed attempt to slide a state-funded €40 billion recapitalization attempt past Angela Merkel while blaming it on Brexit, and coupled with a bailout proposal to provide €150 billion in liquidity to insolvent banks, overnight we got yet another confirmation that the biggest risk factor for Europe is not Brexit but Italy, where yet another failed bank was bailed out. As the FT reports overnight, Atlante, Italy’s privately backed €5bn bank bailout fund which was created in April to stem the threat of contagion from struggling lenders and whose assets turned out to be woefully inadequate, took control of Veneto Banca after a €1bn capital increase demanded by EU bank regulators attracted zero interest. This is good news for Veneto Banco and bad news for all other insolvent banks, because the fund, known as Atlas in English, was intended to hold up the sky for Italian banks. Instead it is now practically out of funds, having depleted more than half of its war chest after taking control of Popolare di Vicenza, another regional bank, last month. When there’s no other investor to turn the market around other than the government, which nine times out of ten compounds the problem, you know it’s done. China has spent $144 billion (€132bn) to bolster the country’s fragile stock market since June, Goldman Sachs has estimated, but still has more than that amount in reserve to deploy if stocks resume their sharp descent. The coalition of state financial institutions – the “national team” – has a war chest of roughly $322 billion at its disposal to support the market, the bank believes. What you won’t hear from the state-controlled Sputnik News is that BRICS itself was brought about with the intention of bringing pressure on the West, namely the United States. They arrived on the scene first and America is only pushing back. However, Sputnik puts a great spin on it and portrays BRICS as the victim. Moreover, it might be too little too late for the U.S. to maneuver as it has been in suicidal decline for over a decade now. The Russian Security Council Secretary said that Western countries withdrew its capital from the BRICS countries to exert pressure on the group. 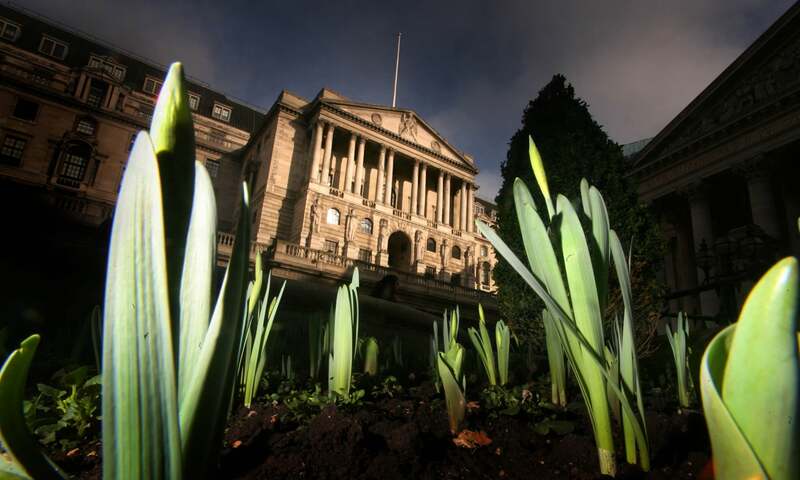 The Bank of England is to impose a series of tests on major UK banks to establish whether they are able to withstand a dramatic slowdown in China, a contraction in the eurozone, the worse deflation since the 1930s along with a fall in UK interest rates to zero. When such a newsletter comes from an institution such as Guggenheim, the soon-to-come problems America faces couldn’t be more surreal. As economic growth returns again to Europe and Japan, the prospect of a synchronous global expansion is taking hold. Or, then again, maybe not. In a recent research piece published by Bank of America Merrill Lynch, global economic growth, as measured in nominal U.S. dollars, is projected to decline in 2015 for the first time since 2009, the height of the financial crisis. In fact, the prospect of improvement in economic growth is largely a monetary illusion. No one needs to explain how policymakers have made painfully little progress on the structural reforms necessary to increase global productive capacity and stimulate employment and demand. Lacking the political will necessary to address the issues, central bankers have been left to paper over the global malaise with reams of fiat currency. The savings of the European Union’s 500 million citizens could be used to fund long-term investments to boost the economy and help plug the gap left by banks since the financial crisis, an EU document says.